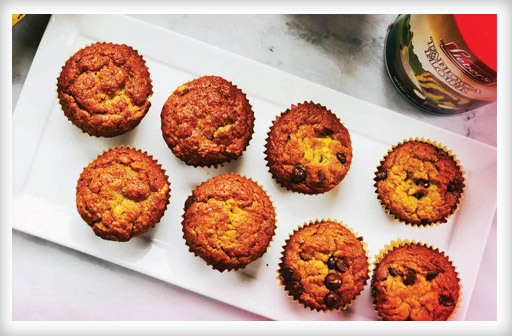 My kids love my Super Easy and Kid-Approved Muffins, but we do not eat these on Passover, so my challenge was set: Create kid-approved Passover muffins. They were so much easier to make than I had anticipated. I had to use something other than whole-wheat flour (yes, these muffins are gluten-free). The grocery store was out of almond flour, my preferred substitute, so I picked up some coconut and tapioca flour instead. I did have to add some extra baking soda and eggs since these flours do not rise like white or whole-wheat flour. And the muffins turned out great. My kids were so excited when they came out of the oven, I even got a big "thank you" from my middle son. 3. Bake at 375°F for 17-19 minutes or until a toothpick inserted near the center comes out clean. 2. The muffins will stay fresh in an airtight container or Ziploc bag for two days. After that, put them in the refrigerator. 3. If refrigerated, put the muffins in the microwave for 20 seconds to warm before serving.